Chocolate Peanut Butter Pie - Eat. Drink. Love. I wish I could have made this completely sugar-free, but my grocery store doesn’t carry sugar-free crust. For the peanut butter, I used the all-natural kind which is much lower in sugar compared to the regular kind. If you aren’t worried about calories or sugar, feel free to swap these ingredients for the regular kind. If you do want to make this completely sugar-free, I do know you can get sugar-free crust and sugar-free peanut butter at health food stores or online. Now, since this is a pudding pie, it is not very easy to serve. If you want a good presentation and be able to have neat and clean slices, I recommend freezing the pie for an hour or two before serving it. Just make sure it doesn’t freeze all the way through or it will be icy and you’ll have to wait for it to defrost a bit. 1. In a large bowl, mix pudding and skim milk together. Pudding should set in about 5 minutes. 2. Melt peanut butter in microwave for approximately 20 seconds. Mix into pudding mixture. 3. Add half of the container of Cool Whip and mix well. Pour pudding mixture into pie crust. 4. Use the remaining Cool Whip to spread over the top of the pie. 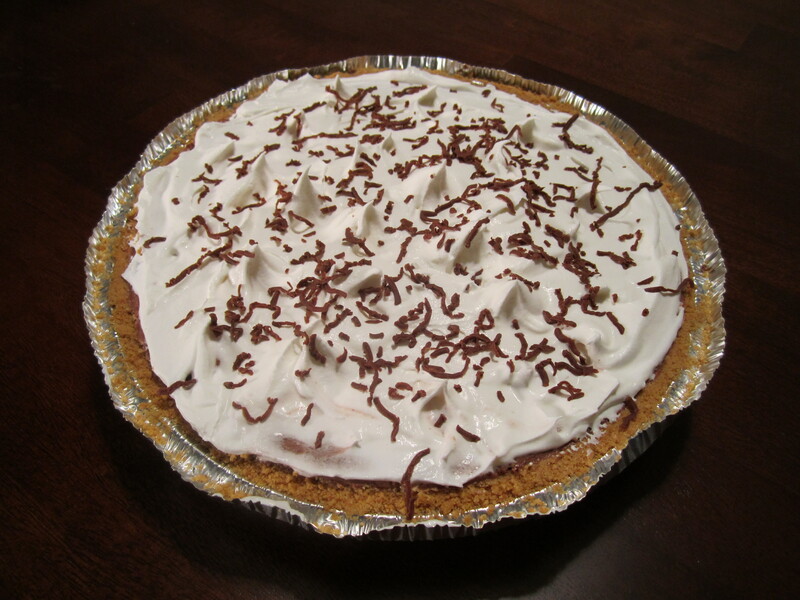 You can garnish the pie with shaved chocolate, sprinkles, cocoa powder, whatever you like! Refrigerate pie for 1 hour before serving. So nice to re-post your pie…the blogging community is just wonderful, isn’t it? My heart goes out to Jen. 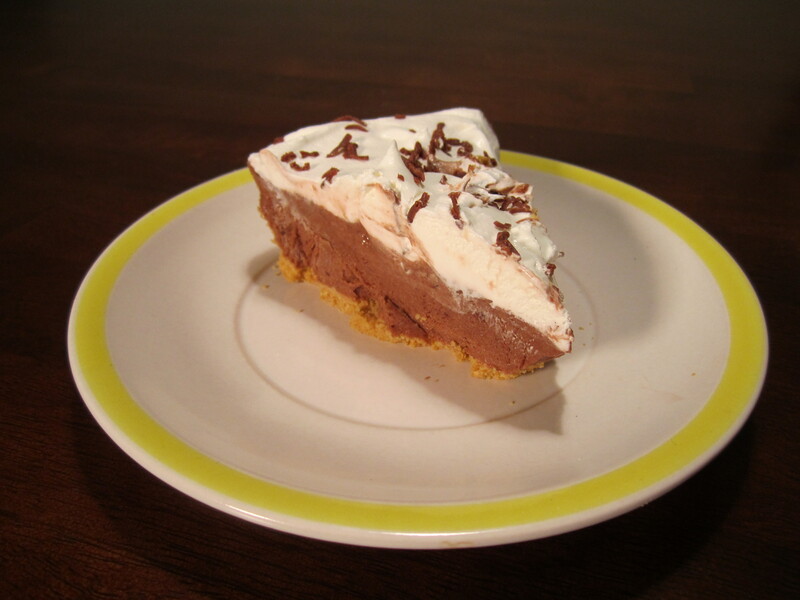 Pingback: Flashback Friday: No-Bake Chocolate Peanut Butter Pie » Eat. Drink. Love.